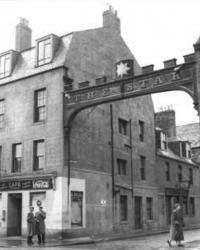 A very warm welcome awaits you at the family run Star Hotel in Montrose. We are known to be one of the oldest coaching houses in Scotland and have accommodated travellers and holiday makers since 1748. We are centrally located just off the high street and only five minutes from the railway station and the historic Montrose Golf Links, which is the fifth oldest golf course in the world and has been in play since 1562. The Star Hotel is a suitable base for exploring the Angus Glens, historic castles such as Glamis and Dunnottar or the stunning Montrose Basin and Nature Reserve. Whether you’re looking for a short or long term stay we have both budget and deluxe rooms to suit your requirements and a traditional well stocked Scottish bar.